Sophie Arbuckle has performed extensively throughout the U.S., Canada, and Europe. She has appeared in many of the most prominent chamber music settings in the U.S., including Music@Menlo (Calif.), where she co-directed the chamber music workshop in 2004, and Bargemusic in New York city. European chamber music appearances include the Royal Flemish Philarmonie Chamber Music Series (Antwerp, Belgium), Philarmonique de Namur (Theatre Royal, Ghent, Belgium), Festival des Arcs (France), Fetes musicales de Savoie (France), Patrimoine en Musique des pays de l’Ain (France), Series Pont Rouge (Ghent, Belgium), Astoria Concerts (Brussels, Belgium), Musique sans frontieres (France), Musicales Internationales (France), Rencontres musicales de Leotoing (France) and Mainz Kammerorchester chamber music series (Germany). Additional chamber music appearances in Monaco, the channel island of Jersey, Evian (France), Geneva (Switzerland) and Italy. Solo appearances include Mozart’s Sinfonia Concertante with the Belgorade Orchestra (France) and frequent appearances with the Sudbury Symphony (Canada). Recordings with Le Chant de Linos. An avid performer of contemporary music, Ms. Arbuckle has toured extensively premiering multimedia works including collaborations with dancer Ann Carlson at Jacob’s Pillow, Duke University and in Ithaca College among others. Ms. Arbuckle has dedicated the most recent years to helping to build the next generation of young musicians. Together with her husband, violinist Arik Braude, Ms. Arbuckle co-founded JVNY, inc., an ensemble of young professional musicians at the onset of their careers, many of whom have studied for over a decade with Mr. Braude & Ms. Arbuckle. The ensemble tours extensively on both sides of the Atlantic in prestigious venues. In addition they perform regularly for audiences who may not otherwise have the opportunity to experience the power of live performances. JVNY mentor young students and engage in regular, meaningful outreach, bringing the healing powers of music to their audiences. For two weeks in the summer, the ensemble is in residence in Courchevel, France during which they perform a diverse program of chamber music and solo works alongside their artistic directors, and mentor young music students. 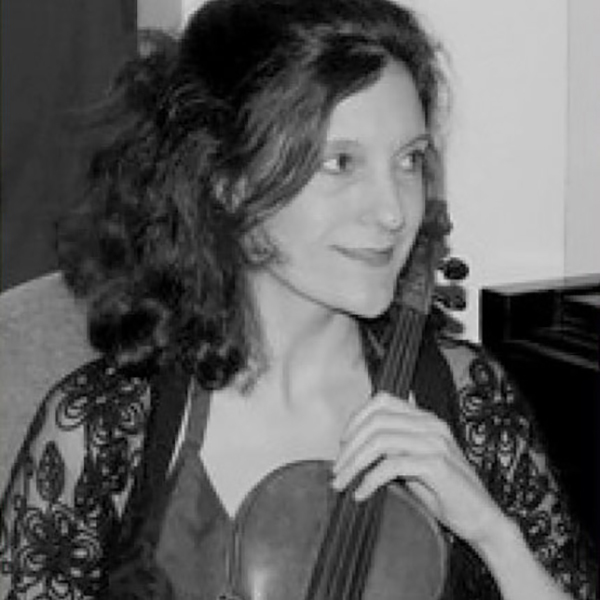 As of the spring 2016, Ms. Arbuckle serves as a visiting professor of viola at the University of Braga in Portugal. She is currently a viola faculty member of the Juilliard School pre-college and sits on the jury panel of the International Johannes Brahms Competition in Portschach, Austria. Ms. Arbuckle holds an M.M. degree in violin performance from the Juilliard School. Her violin teachers include Arnold Steinhardt, Edith Peinemann, Sally Thomas, Josef Gingold and Mauricio Fuchs. Viola studies with Karen Tuttle. Ms. Arbuckle plays a Ferdinand Gagliano viola.